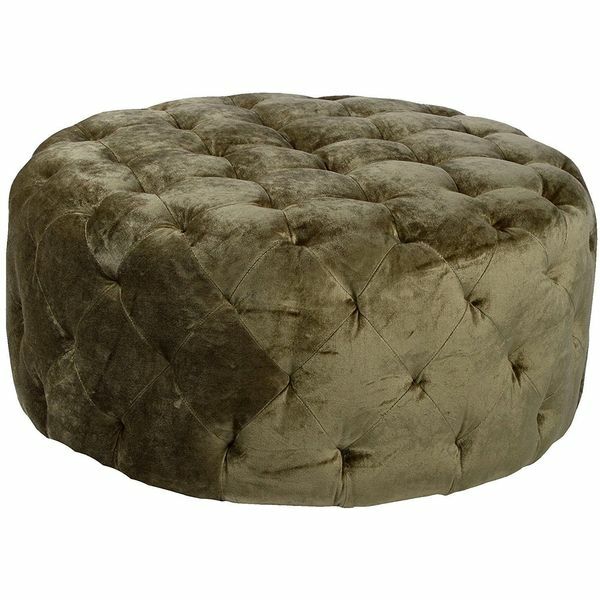 You are viewing the Victoria Round Ottoman in Moss Green by Armen Living. 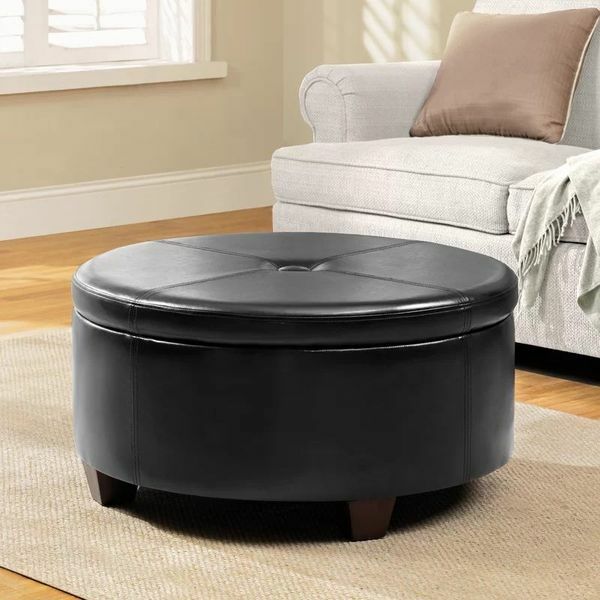 This round ottoman has enough space to comfortably seat 2 to 3 people. When it comes style, it doesn’t get more stylish than this. Armen Living is known for creating numerous pieces of fine furniture. This round Ottoman is just one example of the quality that you can expect from this company. Get the Victoria Round Ottoman right now before it sells out! Dimensions: 25W x 25D x 15H in. Here we have a Tweed Tufted Round Storage Ottoman that has been made by Kinfine. This is a very low profile leather round ottoman. It features three wood legs that attach to a very attractive cushion. Discussion is decorated with French style graphics. 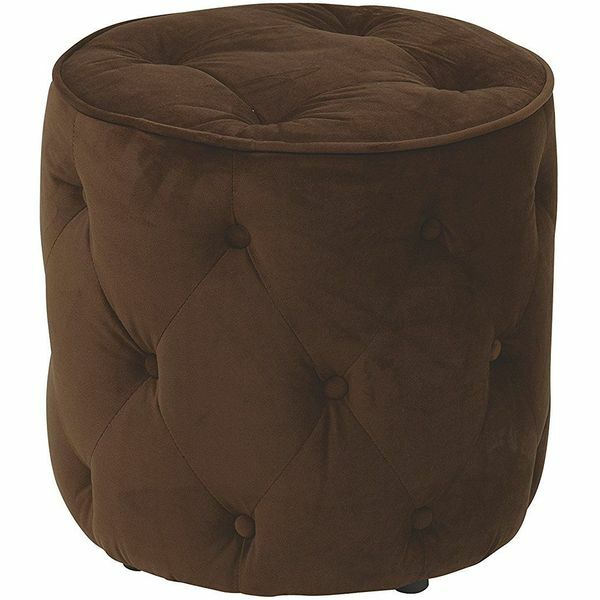 This round ottoman is currently priced to sell. We would suggest getting one if you need a low profile leather round Ottoman for your home or office. 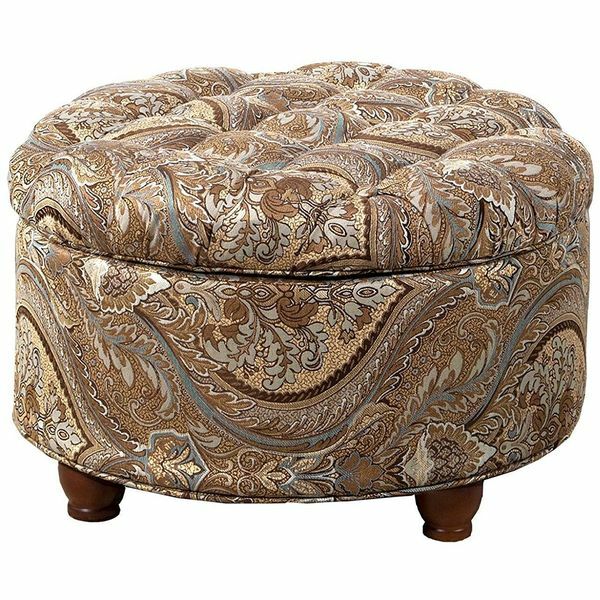 This round ottoman is very elegant and can be used in many different situations. This leather ottoman reminds us of something you would find in the offices of Mad Men. It features a sturdy wood base and faux leather cushion. At this price you can’t afford NOT to get it! The etched design on the side of the Ottoman makes it look much more expensive than it really is. Get yours today! Now check out the Curves Tufted Round Ottoman by Avenue Six Furniture. This is a fun looking Round Ottoman. There are no legs on this ottoman; it sits right on the floor. This particular piece of furniture comes in chocolate color. It can certainly be used as a foot rest and extra seating when space becomes cramped, but is typically used as a comfy rest for your feet. Avenue Six never fails to create a happy customer, and we’re sure you will feel the same way. Get a load of the Amelia Tufted Storage Ottoman by Safavieh. 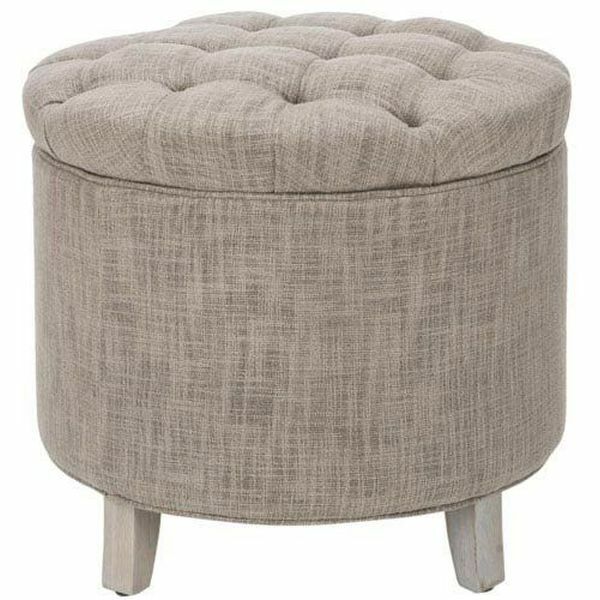 This round ottoman features contrasting welts and buttons as well as beautiful gray linen. 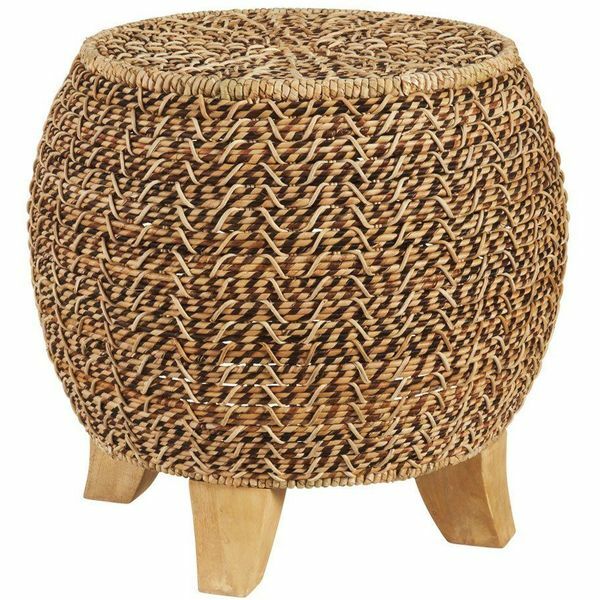 There’s no assembly required, so you can start using this round ottoman as soon as you get it into your home. Add in the fact that you can use it for storage, and you’ll see that ottomans don’t get much more convenient than this! Here we go – now check out this very cool round ottoman from Midwest CBK. It features all-natural fiber and beautiful wood legs. This piece was inspired by the ocean and features classic colors and natural textures also inspired by the sea. You can get yours today for much less than you think. This round ottoman is big enough to use a seat but not so big that it becomes a nuisance and gets in your way. The wicker construction means that it more than likely can safely be used as an outdoor ottoman, so get one today and spice up your outdoor seating area!